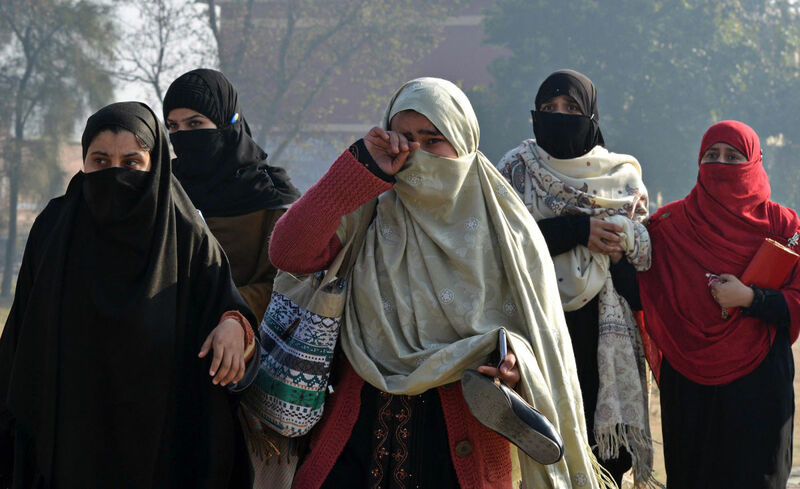 The Pakistani students killed and wounded in the Bacha Khan University attack were victims of the Pakistani military’s long collaboration with the Taliban.Photograph courtesy A. Majeed / AFP / Getty. Chinese President Xi Jinping is treading on dangerous ground. In his speech before the World Economic Forum’s annual conclave of political and economic luminaries in Davos, Xi set out to establish himself as the standard-bearer for globalization and China as a beneficiary from globalization in the past and a leader in the future. Many observers have been quick to support China’s claim to a leadership position, not only because China wants the job but also because the United States appears not to. Rhetoric from the incoming U.S. leadership, with its threat of high tariffs and trade wars, has a distinct antiglobalization flavor. Yet whatever path Washington elects moving forward, anointing China as the world’s “champion of globalization” would be a mistake. Certainly China has already assumed many of the trappings of global leadership. It is the world’s largest trading power, it boasts the largest standing army, and it behaves like a global leader, proposing new international institutions and arrangements such as the Asian Infrastructure Investment Bank and the huge connectivity project One Belt, One Road. China’s military has likewise gone global, establishing its first logistics base in Djibouti; and more such bases will likely follow. There is also talk in China’s foreign policy community of the need for the country to build formal alliances, further cementing its position not simply as an emerging or regional leader but as a global power. And, of course, China has embraced opportunities to showcase its leadership potential by hosting prestigious international gatherings such as the G-20 and the Olympics. Since early in his campaign, President Trump has made counterterrorism cooperation a pillar of his argument for improving relations with Russia. On the face of it, that idea might seem attractive: two of the world’s largest militaries and intelligence communities working together against the Islamic State and other jihadist networks to achieve progress that neither could alone. But it’s a bad idea. A partnership with Russia of the kind Mr. Trump proposes has the potential to profoundly undermine the United States’ counterterrorism progress and shred our relationships with Sunni Muslims around the world. Moreover, it’s doubtful such an alliance could actually be forged. Russian counterterrorism has never been about doing “really great things.” It has been principally about indiscriminate violence — targeting a few terrorists and recklessly slaughtering civilians in the hope that no one will dare continue to plot attacks. If you’re not sentimental about human rights, that may have some effect on a limited, confined population. But it’s the opposite of American counterterrorism, which aims to remove dangerous terrorists while causing as few civilian deaths as possible. Casting doubt on security experts’ ability to identify the culprits behind cyberattacks could make it hard to deter the next one. Since well before he was elected president, Donald Trump has been casting doubt on the accuracy and integrity of investigations that assign blame for cyberattacks. His statements have created an atmosphere of mistrust around forensic analyses, like the one focused on Russia that three top spy agencies briefed him on last week. This confusion benefits Trump by deflecting uncomfortable questions about Russia’s role in shifting public opinion about him and his opponent in the election, Hillary Clinton. But it’s also a boon to state-sponsored hackers, for whom uncertainty is the ideal camouflage. That’s why the Obama administration made a habit of publicly attributing cyberattacks, like North Korea’s attack on Sony Pictures Entertainment, or, less formally, China’s theft of sensitive records from the Office of Personnel Management. For the past several years, the Justice Department also has brought charges against a bevy of state-sponsored hackers from places like China, Iran, and Syria, in a name-and-shame campaign aimed at outing the perpetrators of smaller hacks. Bryan Clark of the Center for Strategic and Budgetary Assessments (CSBA) and I (Bryan McGrath) put together a few thoughts on the recent White Paper from Senator John McCain (R-AZ) entitled "Restoring American Power". The Trump Administration began work this week on its promise of an across-the-board enlargement of the U.S. military. The President-elect has thus far described his plan only in the broadest of terms, but those terms portend a sustained period of higher defense spending—something Congress has been unwilling to approve since it passed the Budget Control Act (BCA) in 2011. Chief among those who will shape the future of the American military is Senator John McCain (R-AZ), the Chairman of the Senate Armed Services Committee, who waded into the debate last week with a strong, coherent outline that not only aims to restore the capacity of a significantly hollowed-out force, but also provides direction for how the force should evolve as it grows. There is a lot in this report, but we will restrict our comments to the larger context of the plan and its impact on American Seapower. Senator McCain’s report begins by rightly highlighting the fundamental disconnect in today’s U.S. defense planning between resources and objectives. Hoping revanchist regimes in Russia and China would not be able to act effectively on their objectives for more than a decade, Congress and President Obama passed the BCA in 2011, reducing military budgets by about 10 percent for the subsequent decade. The BCA, in turn, contained the a ticking time-bomb known as Sequestration, which implemented another 10 percent cut starting in fiscal year (FY) 2013 if the Department was not able to meet BCA targets for spending. Because FY 2013 was already halfway over, services had to immediately cut their spending, creating maintenance depot backlogs, personnel shortfalls, and training shutdowns from which DoD is still recovering. There was a time when the top job in British intelligence was the head of MI5 or MI6. Today it is arguably the director of the Government Communications Headquarters, the secret listening centre in Cheltenham. The search is now on for a new GCHQ chief after the unexpected resignation yesterday of Robert Hannigan, for personal reasons. In his two years in the post, Mr Hannigan has done a fine job in the face of changing circumstances. He has seen the threat from cyber‑warfare increase to the point where it is now the main challenge to British security. According to the Cybersecurity Market Report, global spending on cybersecurity products and services is expected to exceed $1 trillion between 2017 and 2021, while costs associated with cybercrime will increase to $6 trillion by 2021, reinforcing the cybercrime epidemic impacting enterprises and governments worldwide. The growing attack surface, the cybersecurity workforce shortage, the increase of nation-state cyber threats, and the lack of cybersecurity awareness training for employees are all factors that contributed to the sharp increase in cyber attacks against enterprises in 2016. From the large-scale Dyn attack to the recent reporting of the 2013 Yahoo breach, many major players saw their defenses compromised last year. Are we maximizing our use of Big Data Analytics? How will the changing governance measures affect us in 2017? Are we confident in the access controls guiding our IAM practice? How can we protect ourselves from the rise in ransomware? How could we benefit from a partnership with an MSSP? Wishing you a (cyber) safe and successful 2017! We are connecting 5.5 million new devices to the internet each and every day. This represents a 30% increase year-over-year from 2015 to 2016. Unsurprisingly, it’s been predicted that the number of connected things in use worldwide will only continue to scale, reaching 20.8 billion by 2020 (Gartner, 2015). With the rise of Internet of Things (IoT) devices in corporate environments and the anonymous nature of online activity, security threats associated with IoT will also continue to grow. Mobile devices pose a major threat to organizations as cybercriminals often leverage mobile malware to target victims. The British Army's only remaining fighting unit could be wiped out "in an afternoon" in conflict with an enemy such as Russia as "years of budget cuts" have left it with just one war-fighting brigade, the army's in-house think tank has claimed. A "hollowing out or depletion of the army's capabilities" has "effectively removed" Britain's ability to deploy a fighting force, according to a paper published by the Centre for Historical Analysis and Conflict Research (CHACR), which is made up of current and former "soldier-scholars". Serving and retired soldiers met with military academics for a two-day conference in 2016, where they scrutinised Britain's fighting capability in "a few plausible scenarios" where the UK entered into direct war with another country, before compiling the paper. Given the rising number of military cyber activities between the U.S. and its adversaries over the last several years, it is increasingly clear that cyberspace is now an intrinsic part of the current operating environment. As the fifth warfighting domain, it is a space in which we fight and win battles, and its criticality to mission success is becoming more and more apparent with time. As Adm. Michael S. Rogers, commander of U.S. Cyber Command, recently noted, military leaders should expect cyber units to be able to assume the main role as well as the supporting role when facing U.S. adversaries. This often entails coordinating cyber effects within the planning cycles of our maneuver counterparts. As leaders of a nascent branch, cyber officers are in the process of transitioning into a maneuver mindset that is needed for the cyber force to be successful. Such transitions are complicated, however, as the vast majority of newly appointed cyber officers come from operations support backgrounds or have no operational background at all. The transitional dilemma poses numerous Mission Command challenges in the cyber force, threatening its ability to effectively dominate this crucial domain. A student takes notes during a Cyber Basic Officer Leader Course at the U.S. Army Cyber Center of Excellence, Fort Gordon, Ga.
To say Military Intelligence Corps and Signal Corps officers are inexperienced as maneuver commanders is not a critique of operations support branches. Operations support is what these branches were designed to do; thus, these talented leaders have successfully enabled ground combat operations throughout their careers. Without these branches, the Army would cease to function. Nonetheless, with the cyber corps’ aspirational designation as an operations branch, Army leaders must recognize and embrace that cyber officers must be trained and empowered as maneuver leaders who adopt an ethos and demonstrate the ability and competence to lead maneuver operations. Without this acknowledgement, Cyber Mission Force teams will be relegated solely to supporting roles. Cyber leader development and culture must be fundamentally different than those of the operations support branches. Cyber leaders must be prepared to lead operations as the main effort, to deliver effects at the decisive point of operations, and to manage resources in support of those efforts. Saudi Arabia on Monday warned organizations in the kingdom to be on the alert for the Shamoon virus, which cripples computers by wiping their disks, as the labor ministry said it had been attacked and a chemicals firm reported a network disruption. HackerOne said the most significant vulnerability discovered was a series of chained vulnerabilities in which a researcher could move from the public-facing goarmy.com to an internal Department of Defense website requiring special credentials. HackerOne also promised more to come from this effort. Like the Defense Digital Service — a Silicon Valley-modeled node within the Pentagon focused on difficult problems, such as Hack the Pentagon — the Army and Air Focehave stood up their own iteration.